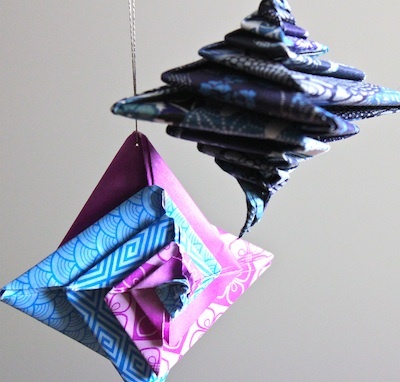 Yesterday at work a friend, Kris D. shared many ornaments she had made and I was immediately taken with the series she called, "Spiral Origami". She explained that the design is called a Tomoko Fuse's Espiral. It doesn't take long with Google to learn more. 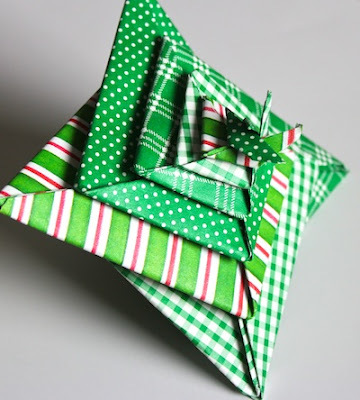 Tomoko Fuse is a master Japanese Origami artist and published many books on the art of paper folding. 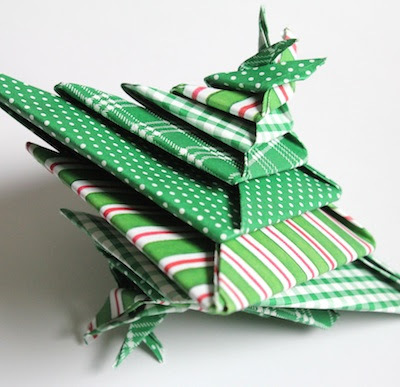 There is a YouTube video on how to create this beautiful ornament yourself.